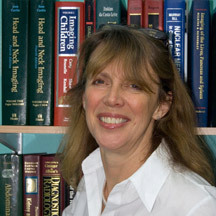 Dr Louise Robinson qualified from King’s College Hospital, London and trained in Radiology at Guy’s Hospital London and the Royal North Shore Hospital, Sydney, Australia. She spent a specialist year as a Clinical Lecturer in the MRI department at Guys’ hospital. Louise was appointed as a Consultant Radiologist at the Royal United Hospital, Bath in 1996 to set up and lead the new MRI Unit. Her special interests are Neuroradiology and all aspects of Paediatric Imaging including Paediatric Oncology. She is currently involved in the acute stroke imaging service and leads the Bath Paediatric Imaging Service, with a particular interest in radiation dose reduction in children. Louise teaches Radiology Trainees and Medical students and is a Finals Examiner for the University of Bristol Medical School.